Bennett Trenchless provides a range of specialty consulting services to Owners, Engineers, and Contractors. We offer third party design review services to evaluate feasibility and constructability of trenchless projects. 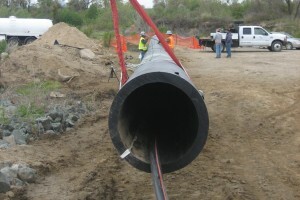 Our extensive experience with various trenchless construction methods provides our firm with a unique perspective to evaluate designs by others and provide recommendations for improving the design. We also participate as the trenchless expert on value engineering panels where we contribute creative solutions to reduce the risk and cost of complex and challenging design dilemmas.